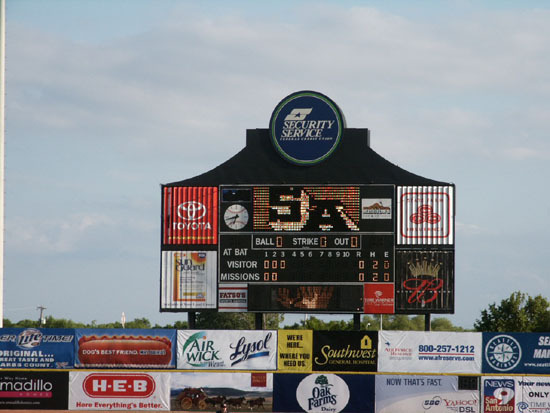 The San Antonio Missions, a Double A affiliate of Seattle, play at Nelson Wolff Stadium. 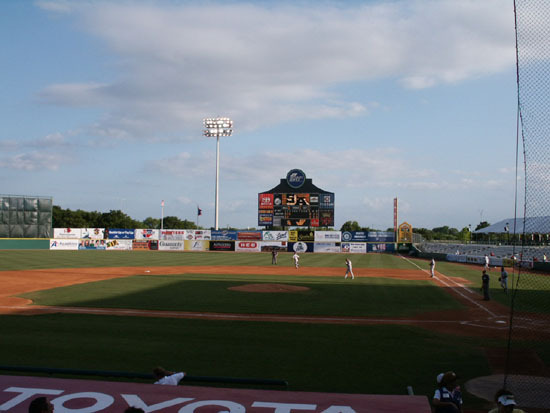 The stadium was built in 1994, seating 6,200. 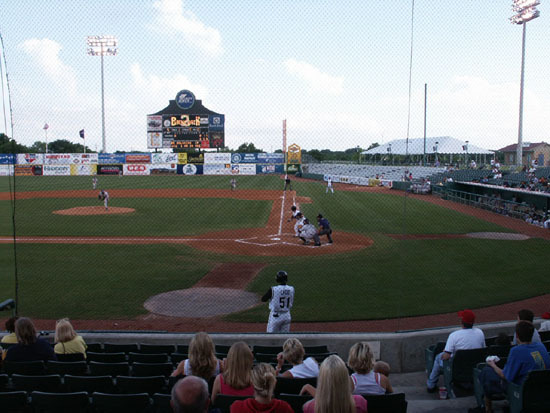 It is a nice facility. 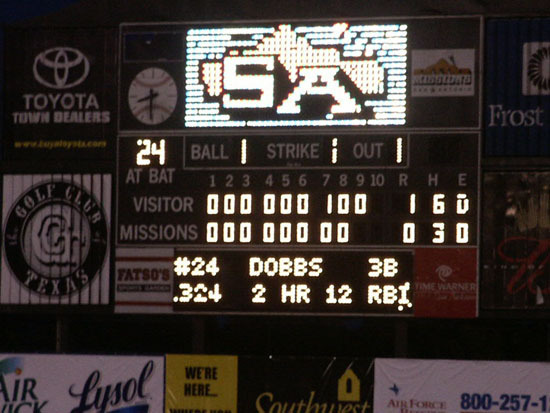 The Missions have won the Texas League Championship the last two years. 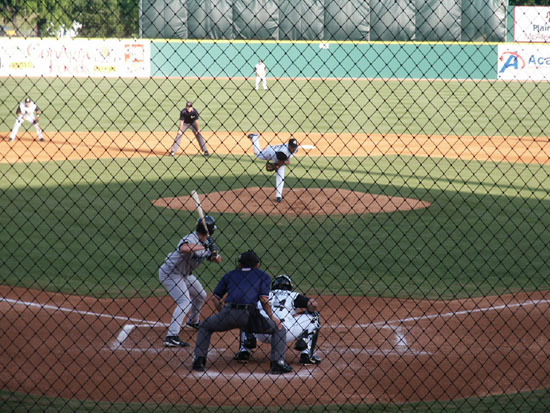 The Missions were playing the Wichita Wranglers and were shut-out in a tight 1-0 game. 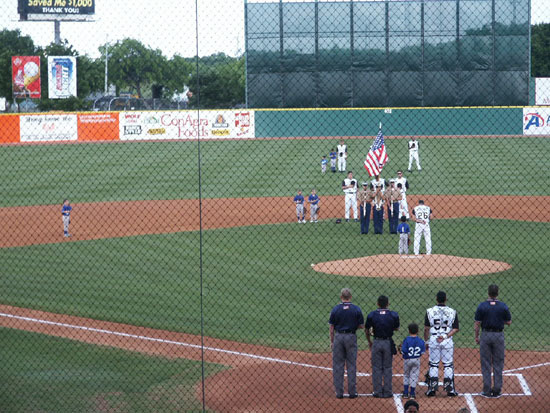 The box score was Wichita R-1, H-6, E-0 and Missions R-0, H-3, E-0. 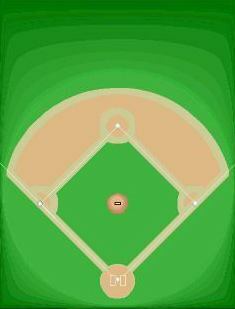 The field lines are RF-340, CF-402, and LF-310. 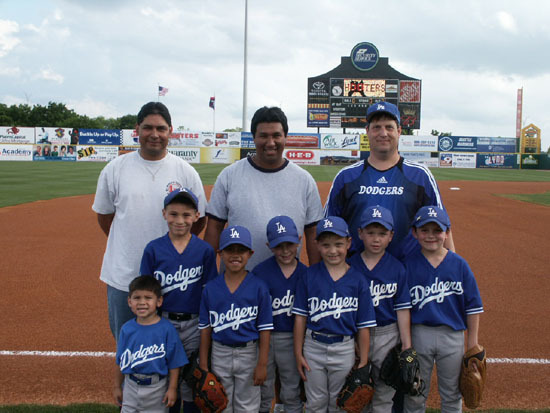 The Dodgers from the San Antonio NW Little League, ages 6-8, went on the field with the team for the national anthem. 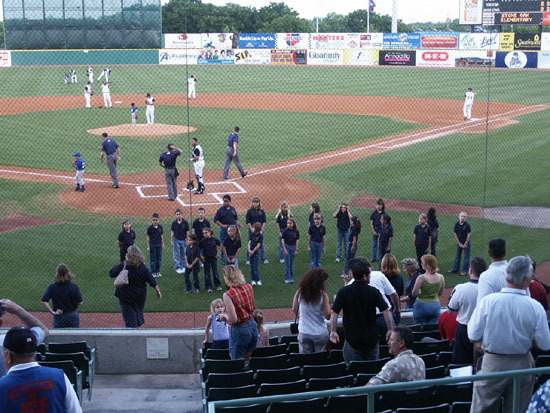 The national anthem was signed by the youth choir from Stone Oak Elementary School. 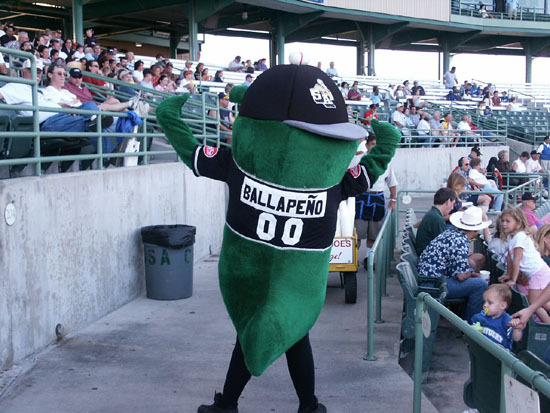 The mascot is Ballapeno. 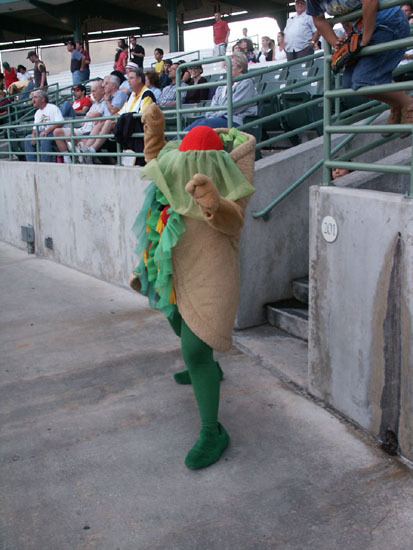 Puffy Taco is another mascot who appears backed by a sponsor. 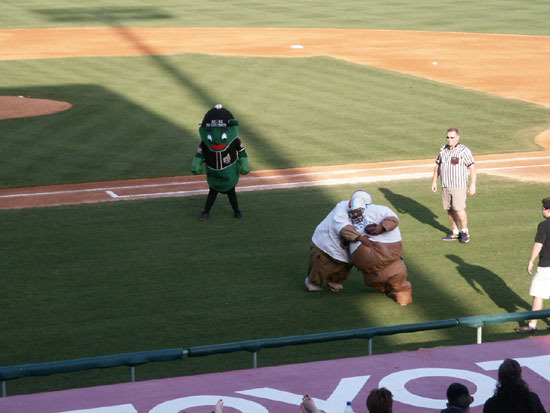 As a between inning activity two men dressed in the summo wrestling outfit try to carry a football past each other. 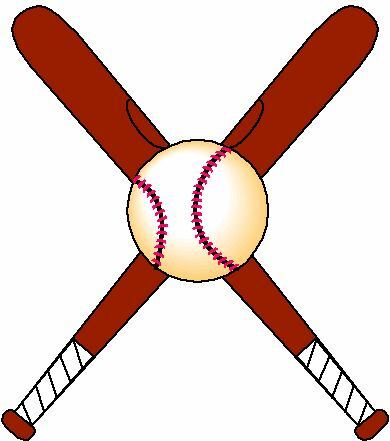 There are 10 rows of seats below the aisle and 4 rows of seat above the aisle. 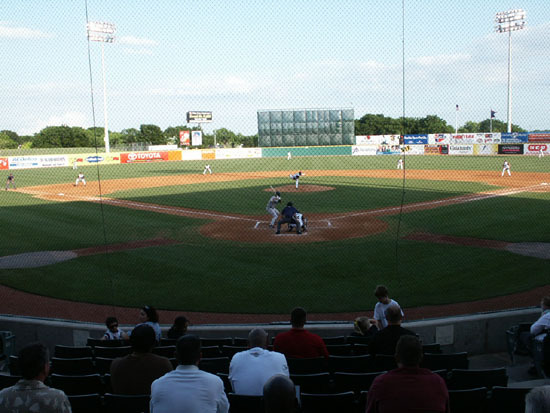 There are bleachers with backs behind the seats above the aisle and in the areas beyond the infield. 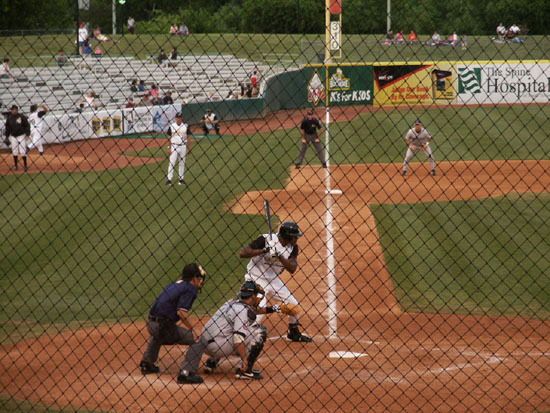 There is a grass berm in LF. 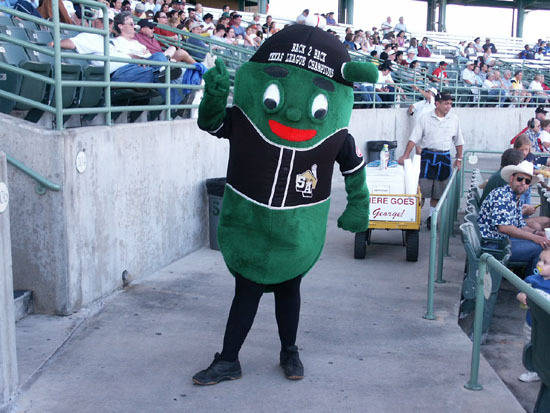 2007 affiliate of San Diego Padres. The Alamo has exhibits in the mission church and long barracks include Texas Revolution artifacts and personal items that belonged to the Alamo heroes. Donations. Paseo Del Rio (River Walk) runs through the heart of the business district. A few steps below the city streets, the River Walk provides a pleasant stroll during the day, when craft shops and galleries are open and sidewalk terraces teem with diners. The footpaths are lighted at night. 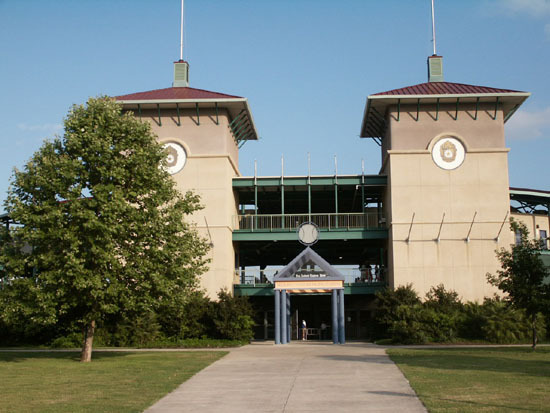 b includes four sites throughout the city. With the Alamo, these 18th-century missions were Spain's outposts along its northern frontier. Donations.